WHO IS HIS HANDS & FEET MINISTRY FOR? His Hands & Feet Ministry pairs parishioners in need with those willing to share their talents, gifts, and/or special interests. to provide a way for parishioners to experience the blessings that come through being of service to another. 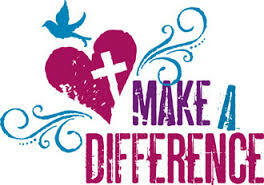 We ask each parishioner to search his/her heart to discern ways to serve our faith community. Each week our brothers and sisters of faith are seated next to each other at mass, sometimes with heavy hearts, borne of stress, loneliness, illness, marital strife, financial hardships and many other concerns that keep them from living joyfully in the spirit of the Lord. WHAT DOES THE MINISTRY DO? As parishioners communicate needs, either directly to the ministry, or through the Newman staff, the ministry emails a general description of the need to parishioners who have indicated a desire to be of assistance. Those responding positively are introduced to the individual/family in need. Personal details of all parties kept confidential until the parties meet to establish their working relationship. The ministry steering committee meets quarterly. My name is Paul. I would like to take this opportunity to express my thanks for the overwhelming and tremendous generosity that has been bestowed upon me by His Hands & Feet volunteers. I am so grateful for all of your articles of linens, furniture, flatware, dishes, pans, pots, towels, pillows, appliances, cleaning products, artwork and so many other things that help me call my new studio home. Truly your support has had a daily impact on me. I love all of you for your help and support. A special thanks for the donation of a hide-away bed. You are all in my prayers in my heart. I have been a parishioner at Newman Hall for many years and volunteer for Loaves & Fishes. I am on a very low fixed income and have been on a waiting list for seven years to get an apartment at a subsidized senior facility. Finally, at the end of this past March, an apartment became available for April 1st. I realized I had less than one month to pack-up my belongings where I lived for 33 years, move everything including all the furniture of my 1 bedroom apartment and felt scared and overwhelmed. Anyone I know is elderly and not able to physically help me. I could not afford to hire help. I rarely ask for help, but remembered hearing about His Hands & Feet Ministry and all of the many ways they help people. I decided to call and see if there was any chance for me with such short notice to get assistance – and BAM!! I immediately received a call-back, and with positive support, a move date was set. I received the names of and contact information of four volunteers with every detail checked and confirmed for my “moving crew.” Talk about great customer service. I was in the hands of the best professional movers! Everything was so organized. On moving day, Wendy, Linda, Roger and Tim showed-up right on time, assessed how the truck should be loaded properly and within one hour my apartment was cleared-out. I was so exhausted from all of the previous packing, I just watched with amazement as they worked so hard together as a team, with great humor and joy. When we arrived at my new apartment, my team unloaded everything and put the furniture where it needed to be, even putting together my futon. I was worried for so long before this day, that in just a few hours I felt all the stress leaving my body, and a great sense of relief overcame me. I was in awe of these wonderful generous people. They gave up a Sunday afternoon to help me, a total stranger, and they were glad to do it. I was so grateful and I realized that they really were doing what Jesus asks of all of us – to help those in need. And I also learned to ask for help and received it. God bless you ALL and all that you do for the community – your support was such a comfort and blessing for me and I can live a quality life now in my new home. Thank you so much. P.S. Everything got here in perfect condition. I will never forget this experience – remarkable! “The HH&F ministry showed me and my family how Christ cares for us daily, concretely and very, very willingly. For six weeks after the birth of our daughter, HH&F volunteers came to our home to tend to the tasks that I couldn’t physically do myself. What struck me most about these ministers was the grace and joy with which they performed such tasks. Washing dishes, laundry, cleaning the bathroom, etc. are by no means glamorous jobs, and if you are like me, it can be very difficult to ask for help for fear of burdening others. Yet the HH&F ministers responded to my and my family’s need for assistance instantaneously and with patience and warmth.